The Sampdoria striker has scored in 11 consecutive matches this season and has scored 16 goals in 21 games. Sampdoria forward Fabio Quagliarella is having a great 2018-2019 Italian Lega Serie A season. He has scored 16 goals in 21 games, scoring in the last 11 consecutive matches. And these performances have been enough to earn him a call-up to the Italy national team, his first since 2015. “My secret? I work very seriously. Hard work pays off. I thank Mancini for the call, it’s great to be here,” Quagliarella told Gianluca Di Marzio. 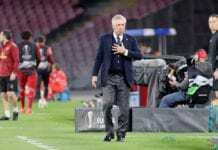 “I like Chiesa and Zaniolo, but there are many youngsters and the CT won’t let them run away,” he said about the national team youngsters. “Being trained by him is a pleasure and honor, he’s a symbol of Sampdoria. I feel the affection from everyone and I hope to repay them,” Quagliarella continued. 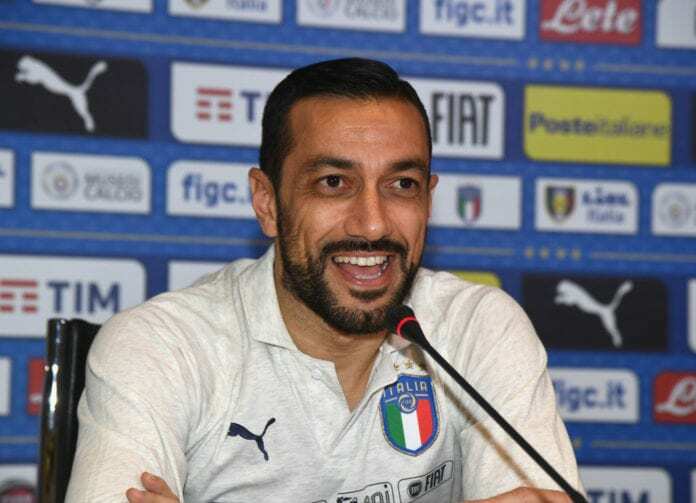 The 36-years-old is a known veteran in the Italian Lega Serie A, having played for Torino, Fiorentina, Chieti, Ascoli, Sampdoria, Udinese, Napoli, and Juventus. He has been earning calls to the national team since 2000 in the U18 squad. His last call was in 2015 for Italy’s Euro 2016 qualifying matches against Azerbaijan and Norway but he did not play.